Our inaugural episode targets Little Nemo – The Dream Master for the NES. This was a welcome revisit since I never got very far when I rented it as a kid, so this helped me finally get closure with a previous experience. As far as podcasting goes, it surprised me how easy it is to produce something of quality now. All of the tools to do this and publish are now easy to find and use. 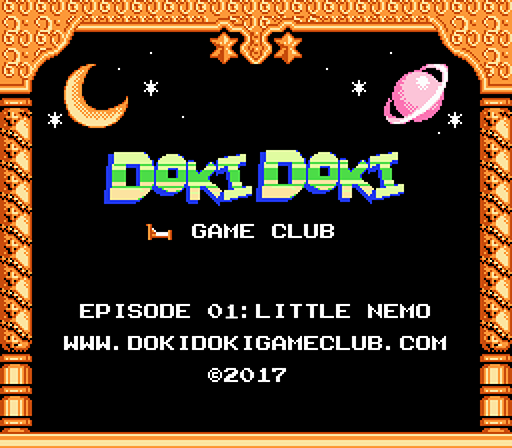 Here’s the Little Nemo episode. It will come to no surprised to you all that I will eventually be subjecting my host-mates to a serious run of Zelda II. Before that, I will be expounding my Zelda II swordplay post from that dozen years ago into an instructional video, with actual good voice recording quality, now that I have a good beginner mic.